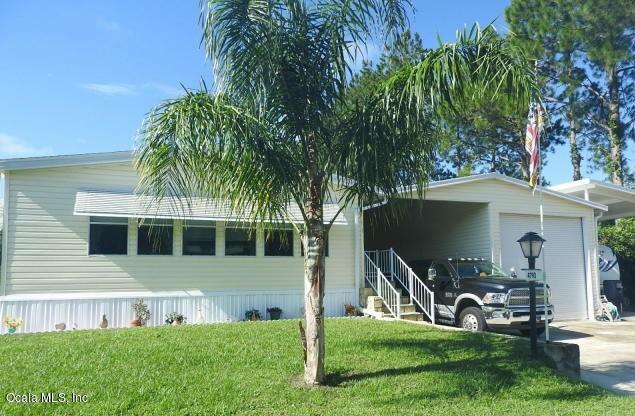 Large Palm Harbor home with RV port(full hooks) and BONUS large garage workshop and carport area as well. This 2/2 has been well maintained and located in the great 55+ community of Tropicana Villages with low community fee which includes water, garage, community center & pool. 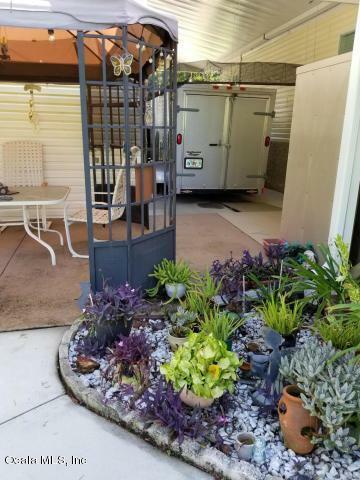 RV owners STOP paying rent this home has it for you! This home also features electric lift. Great location close to Belleview, The Villages, I-75 and Ocala. Wonderful 2nd home location.